T.T. is like a death Race ‘ Says Moto GP’s Scott Redding. 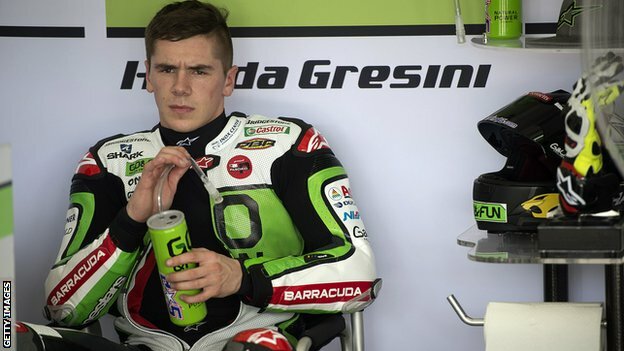 MotoGP’s Scott Redding will not appear in Friday’s Isle of Man TT parade lap after describing the event as “like a death race” after two riders died. Bob Price, 65, from Redding’s hometown of Gloucester, was killed in an accident during the first Supersport race on 2 June. Three-time British champion Karl Harris, 34, died in a crash on Tuesday. He added: “All the riders that finish are relieved to finish in one piece and see their loved ones. Clerk of the course, Gary Thompson, told BBC Isle of Man: “Scott has his own views, as have many other people, but it’s not something that I can comment on as those are his private views. “I’ve heard people say that the TT is too dangerous, we are aware that the speed of bikes is getting faster, but each year we carry out a full risk assessment of the whole TT course. In a statement confirming his withdrawal, Redding paid a special tribute to Price – a close family friend who had been involved in his racing career, which has seen him rise from Moto2 to MotoGP in four years. “He was one of the few people outside of my immediate family who supported me when I started out racing. I will miss him, as will many others in our racing family,” said Redding. “Then yesterday, we heard the tragic news that Karl Harris had also lost his life. Karl and Bob are both guys that I know and their deaths have hit me harder than I expected. Honestly, I’m devastated. “And that’s why I won’t be at the TT on Friday, not because I have anything against the Isle of Man TT, but because I prefer to mourn Bob in the places where I knew him best, not the place where he was taken from us. This entry was posted in Blog and tagged dangerous race, isle of man, motorcycle crash, Scott Redding, tourist trophy, tt.